Rubbing Fenders: Who is Swan Racing's Newest Partner, Anthony Marlowe? WHITESTONE, N.Y.–Â Swan Racing has expanded plenty since they bought out Inception Motorsports towards the end of the 2012 NASCAR calender. The team’s principal owner, Brandon Davis, reassured the NASCAR world that he refused to start and park any car with his company’s name on it, and he has stuck to just that. Davis, 35, has taken a team which could hardly compete for top-30 finishes, and is set to expand to two cars in 2014. The team started 2013 with David Stremme behind the wheel, but he was replaced for the final 10 races of the season. When Davis bought the team, he was the sole sponsor for an organization which had been known as a start and parker since 2011. With the help of former NFL LB, Bill Romanowski, who had 39.5 sacks in 243 career games, the team began to break through approximately halfway into the 2013 season, steadily improving their results. Romanowski became a partner within the organization with his Nutrition53 products which adorned the No. 30 Toyota Camry for nearly half of the Sprint Cup Series season last year. In 2014, Swan Racing will have another successful businessman join the operation with a minority interest in the organization. Anthony Marlowe, 34, was recently announced as one of the three key owners for one of the youngest organizations in NASCAR’s premier division. Marlowe was the co-founder of TMone and president of the company as well. He sold his majority stake in the company to Â ERC Holdings, LLC a RLJ Equity Partners/Carlyle Group Company in 2013, and has since been able to establish himself as one who wants to be involved in motorsports, primarily in NASCAR. “Aside from being a long time fan, I decided in 2011 to utilize the NASCAR Sprint Cup Series team sponsorships to promote the company that I was the president of,” Marlowe said in an exclusive interview with Motor Racing Scene just hours after being announced as a co-owner for Swan Racing. In 2013, Marlowe’s company did not sponsor many race cars, but TMone was a key associate sponsor for Front Row Motorsports in 2012 as well. TMone was featured on Landon Cassill’s No. 33 Chevrolet at Talladega in October, showing that Marlowe wants to remain active in the sport. Once Marlowe and Davis met, the rest is basically history. The two began to conduct business, and they both agreed that Swan Racing has an increasingly high level of potential. With Parker Kligerman and Cole Whitt driving the organization’s two cars in 2014, the team has expectations of competing for top-25 finishes on a weekly basis. The organization is attempting to prove to the NASCAR world that they have what it takes to succeed. They have manufacturer backing with Toyota as they will optimize the use of Triad Racing Technologies’ engine program. Marlowe’s investment might just be what they need to get to the next level. 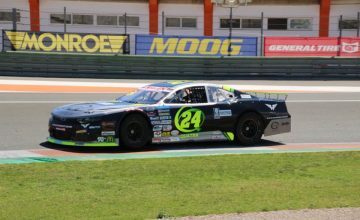 “â€œFor Swan Racing, looking at where they finished in the points this year, they finished in 33rd.Â For our team, we want to make the jump to 20th. Thatâ€™s a huge jump. There are really established race teams that we have to leap over in order to get to that point, but I feel like some of the things that we are doing during the off-season with Toyota support, we will be set up through the first six months of the season. 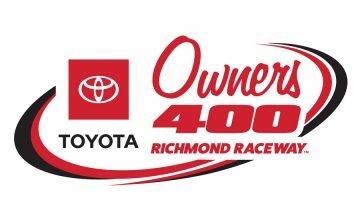 We will all be there right away since this is racing, and we are only learning as fast as we can,” Kligerman, driver of the team’s No. 30 Toyota said. As a man which is involved in Fortune 500 companies, Marlowe hopes his investment will help bring some more sponsorship revenue to the organization. In 2013, the team was primarily sponsored by Davis’ Swan Energy and Romanowski’s Lean1 with Window Wax and Genny Light also sponsoring the team for multiple races. However, the key to success is funding. They cannot be successful while running the organization out of their own pockets, they are going to need some outside funding, and that is where Marlowe’s business experience comes in. “It has been a dream of mine to be a part of a professional sports team. I am very passionate, maybe more passionate than anything for NASCAR. An opportunity had risen, it increases my private equity investments and I believe I really want to be involved in NASCAR. I look forward to being a part-owner in the Cup Series for the long haul. Iâ€™m not the type to ever give up, so weâ€™re pretty determined as a team to have success,” Marlowe said. Marlowe understands how the sport is run. He knows what it takes to win races, as does Davis and Romanowski. Together, these three men might just be able to build the next Hendrick Motorsports, or Joe Gibbs Racing. Marlowe knows how much of an impact sponsoring a race team can have for a company. In 2014, Marlowe will be the listed owner of the No. 26 Toyota Camry driven by Whitt. It is a dream come true for a man out of Iowa, and has been selected as one of Inc. Magazine’s top-25 youngest CEO’s for the 5,000 fastest growing companies within the United States. Davis and Marlowe seem to be getting along great, which is the largest key to a successful race team. Just take a look at the success which Jack Roush had when he partnered with John Henry, owner of the Boston Red Sox.